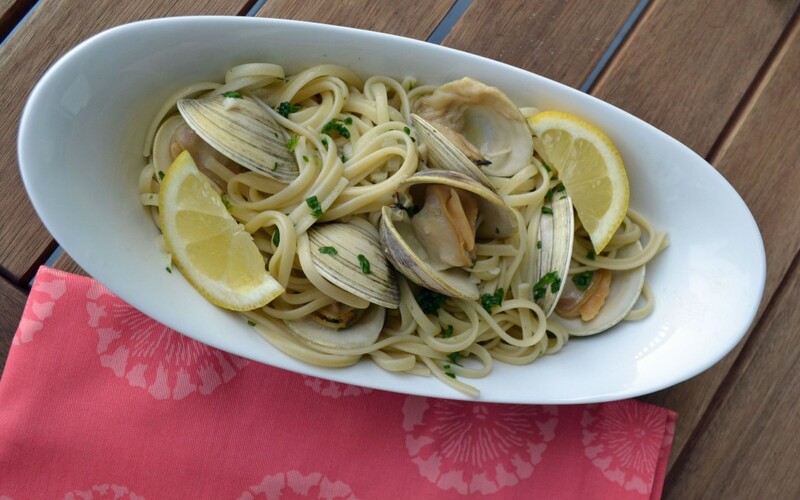 If you’re a clam lover, this dish will make your mouth water. 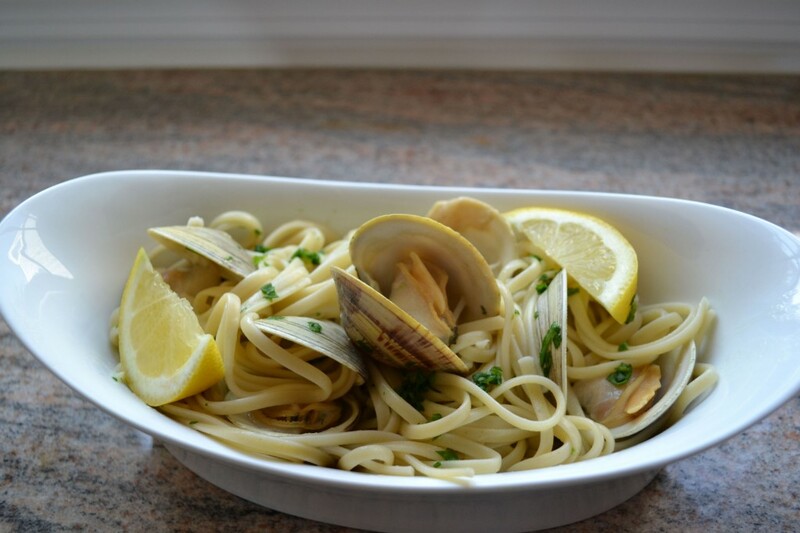 A new England classic and a combination of three different unpublished recipes by my grandmother, Paula Peck: veloute, linguine in white clam sauce, and white wine sauce. I’ve combined them into one easier to follow recipe minus the heavy cream. A hodge-podge that becomes a garlicky semi-creamy sauce with a tang of sweet and sour citrus clam flavor. Exactly what you want in a white clam sauce. Melt the butter in a medium saucepan over medium low heat. Stir in flour, using a wire whisk. Slowly whisk in 1 ½ cups stock. Bring to a boil then lower to a simmer. Combine shallot, remaining stock, and white wine in a large skillet over medium high heat and bring to a boil. Add milk and lemon juice. Heat through. Whisk white wine sauce into butter flour stock mixture. Season sauce with salt and pepper. In the same large skillet, heat butter and olive oil over medium heat. Add garlic. Saute for 1 minute. Add sauce and clams. Simmer until clams open. Stir in cooked linguine and chopped parsley. Serve immediately with grated Parmesan and lemon slices. I love a white wine clam sauce!! Can’t wait to try this….love the awesome look of your blog too!